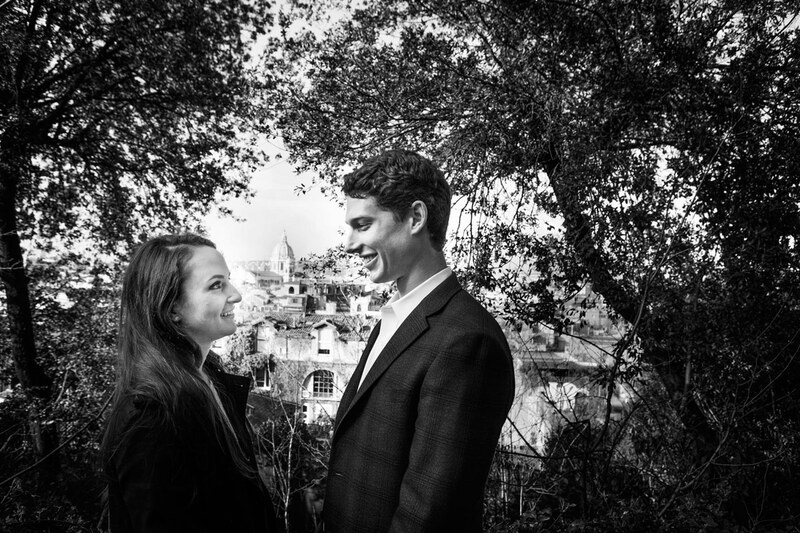 Kevin & Heather, a beautiful young couple from the USA came to celebrate their love amongst the ruins, alleys and beautiful piazzas of Rome. They wanted professional photographers to make this wonderful time immortal and eternal. So here we are to the rescue! We met them early in the morning at the Trevi Fountain. Early in the morning the piazza is empty and it feels yours. 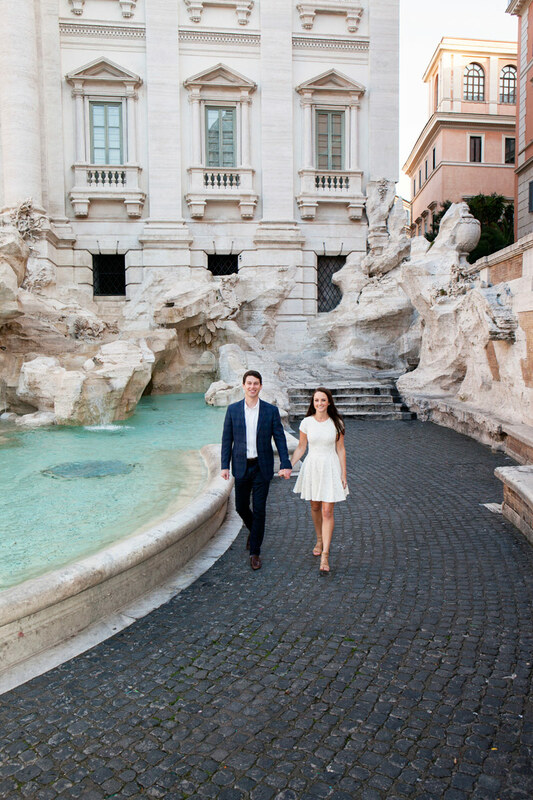 The young love between Heather and Kevin flowed like the water that flows down this centuries-old Fountain. 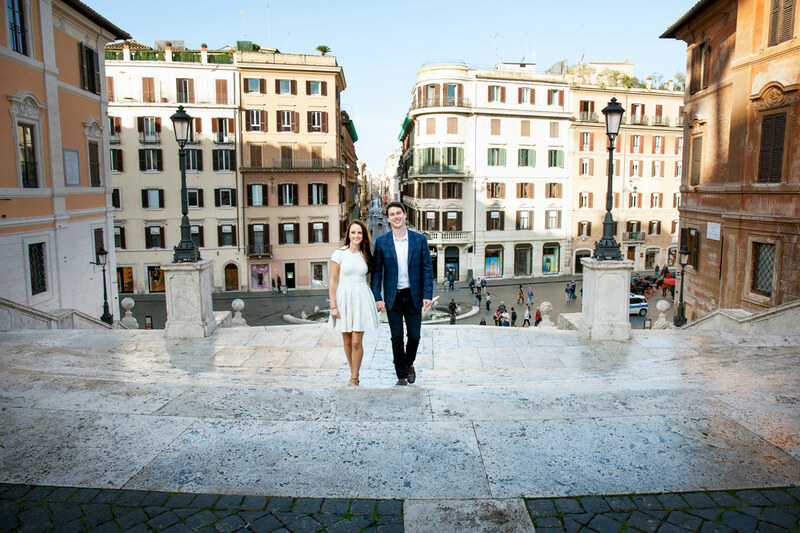 Taking a Photo shoot in Rome in the morning truly makes it special and they really owned the city for the couple of hours that we spent together. We walked to the Spanish Steps, and again, they were empty, truly unique to have them all for us! Kevin and Heather walked up the stairs, like it was their own personal catwalk. 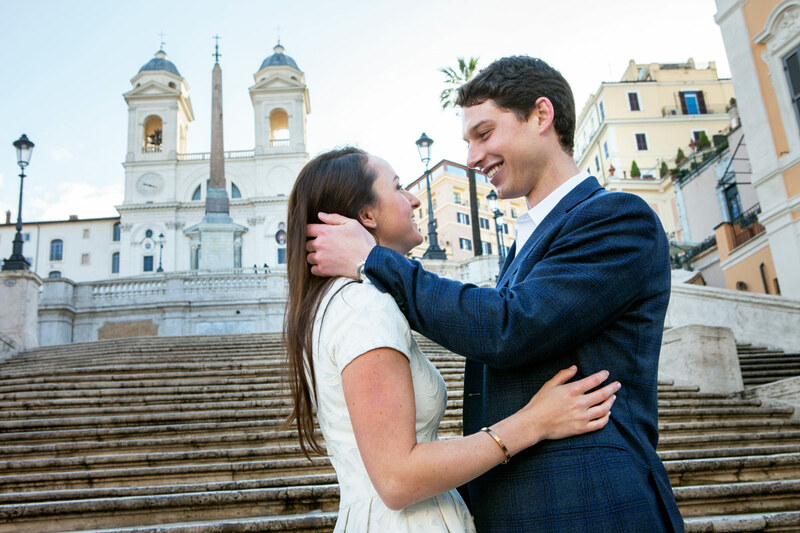 They smiled, they hugged they kissed and laughed and Heathers wedding ring shone against Rome’s early morning sun! We climbed to the top of Pincio Hill and saw the beautiful panorama of the Eternal City. The Borghese gardens were green and romantic. It was a beautiful winter’s sunny day, which came after a few days of rain so the air felt perfect. Our romantic, young couple, comfortable in front of our cameras gave it their best amongst the statues and trees of this gorgeous park. 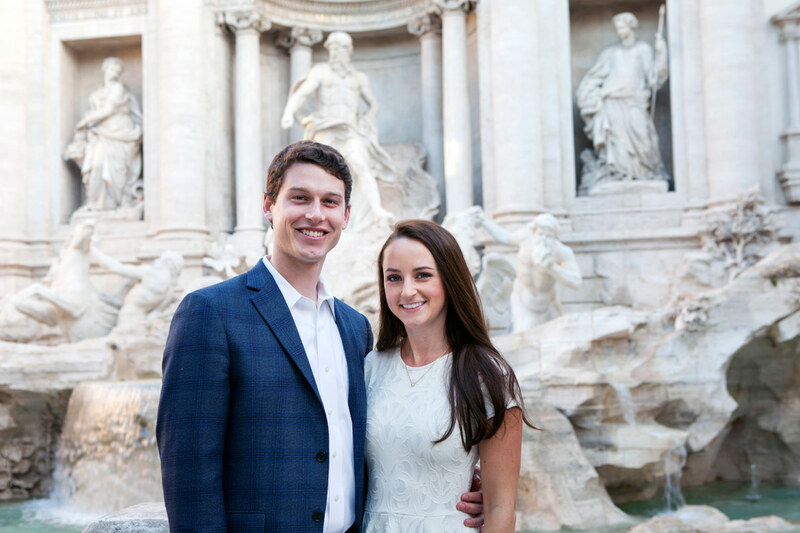 They will truly have eternal memories of the Eternal City to look back upon. 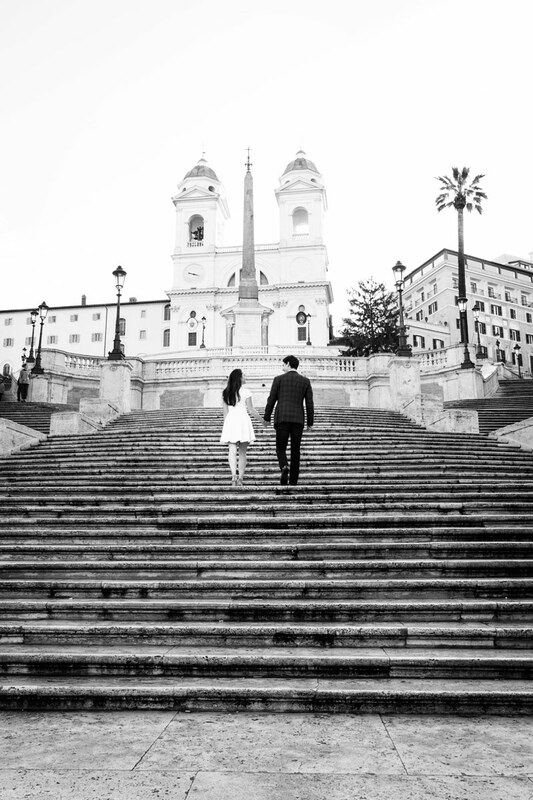 After a walk and a photoshoot like this one they now truly understand why Rome is short for Romance. 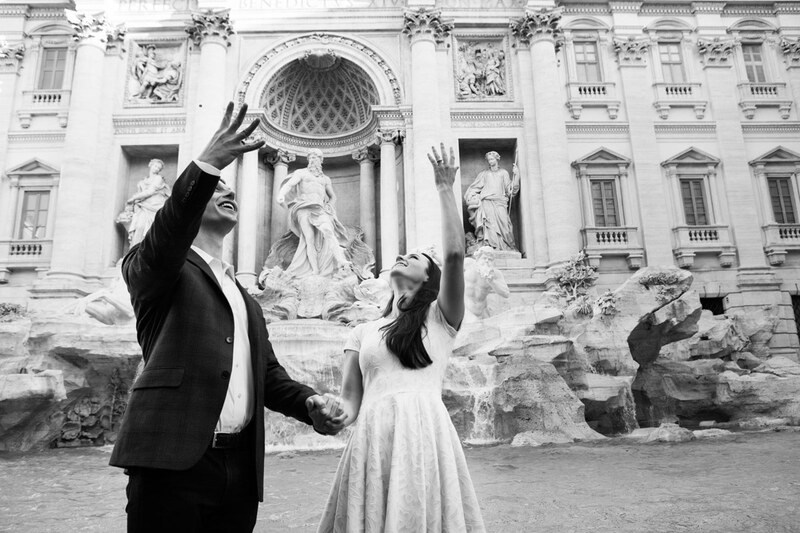 We truly wish them a long life full of love and care and that the sparkle they had in their eyes here in Rome will be the Eternal Flame they will carry with them forever.